The 9010 (single channel) and 9020 (dual channel) controllers are gas-warning systems that can monitor up to 20 channels at once. Each module features an an independent AC/DC power supply for increased system reliability and full internal diagnostics to minimize false alarms. The controllers can also power remote sensors, while the large four-digit LCD and LED provide such crucial information as gas concentration and alarm status. A convenient RS-485 serial interface offers a printer connection for data collection and the Modbus RTU can record serial bus data transmission. 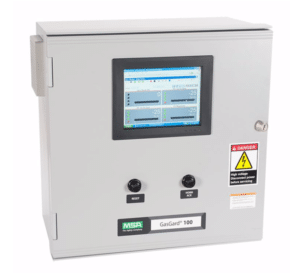 The GasGard 100 Control System is a scalable, high performance data acquisition/data-logging platform that offers an intelligent approach to data acquisition and control for fixed flame and gas detection. 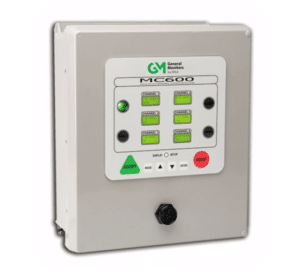 Open Ethernet connectivity with web-based configuration and data monitoring functions allow GasGard 100 Controllers to provide a wide range of monitoring and historical logging functions. 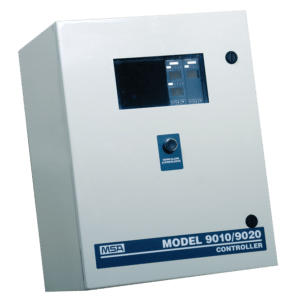 The MC600 is a microprocessor-based, multi-channel controller that provides six channels of continuous gas detection. It can be configured as either a local gas detection system, or it can be networked to provide a large plant-wide distributed safety system. It is compatible with our hydrocarbon sensors, H2S sensors, as well as our S4000CH, S4100C, S4000TH, S4100T, IR400, IR5500, IR700, TS4000H, Observer and Surveyor gas detectors.